- Multiple readers have sent word that "Rowdy" Roddy Piper recently wrote on his Twitter page that he "beat cancer again." You can follow Piper on Twitter at this link. - Wrestling News World reader Hiroaki Kawafuji sent in the following: Yoshi Tatsu spoke Japanese in WWE NXT of this week.I translated it into English. "D--- you! Do you understand? Are you stupid? Do you understand? Do you understand what you do?" - Yahoo! Sports has a new article online on the autopsy results on the body of "Macho Man" Randy Savage. Below is an excerpt from their article:An autopsy revealed that wrestling great Randy "Macho Man" Savage died from heart disease and not from any injury sustained in his May 20 car crash. The St. Petersburg Medical Examiner&apos;s Office found that the 58-year-old had an enlarged heart with hardened coronary arteries. He became unresponsive while driving his Jeep Wrangler on a Florida highway in May and crashed into a tree. While the auto accident left minor cuts and bruises, the heart problems were the official cause of death of the wrestler. At the time of his death, it was unknown whether the former wrestling star had died because of the heart issue or because the heart issue caused him to crash. The coroner said Savage was found with therapeutic levels of a number of prescribed drugs in his system and that alcohol wasn&apos;t a factor. There was no evidence he was taking any heart medication, leading to the assumption that Savage may not have known about his condition. His wife, Lynn, was riding in the car during the accident. Their Jeep Wrangler flipped over a concrete median into oncoming traffic before skidding into a tree. The couple were married in a beachfront ceremony in 2010. You can read the full article at this link. Thanks to Wrestling News World reader Niki Boyer for sending us the link. - The Chicago Tribune ran a small portion of their recent interview with John Cena to promote WWE Money in the Bank. Below is an excerpt where Cena plays up the CM Punk "suspended" angle:"WWE has a lot of events, but rarely do you see something this controversial and hostile," Cena said. "I think people will talk about Money in the Bank for years to come. It will be a great moment for Chicago. A guy like CM Punk on live TV, you don&apos;t know what he&apos;ll do. I&apos;m prepared for anything. "It&apos;s weird. Usually when a guy retires, we give them one last hoorah. But after what happened Monday, I don&apos;t know. You have to wait and see. There are two more weeks. I&apos;m interested and excited about all this, even if some of it came at my expense. "Click here to read the full article. - TMZ has an article online today on former WWE Tough Enough contestant Michelle Deighton leaving Jonny Fairplay. You may remember they were guests on Dr. Phil a couple of weeks ago. Click here for coverage by TMZ. Thanks to Wrestling News World reader Peter Nieto for sending us the link. - Wrestling News World reader Roberto Yanes sent word the World Wrestling Council in Puerto Rico has booked Chavo Guerrero for their show on July 15, 2011 in Ponce. There will be WWE and Impact Wrestling names on the show. - As of Saturday, CM Punk has not re-signed with WWE. Sources close to Punk tell me that he has asked for a downside guarantee close to what main event talent such as John Cena and Randy Orton are making. While WWE has raised their initial offer multiple times, Punk is not budging. Punk has told friends it isn&apos;t so much about the money, however, he feels like if he is paid a top dollar amount it will guarantee him a credible run at the top to justify his salary. One observer points out this is exactly how WCW justified lengthy runs at the top for several of their main event talent back in the 90s. 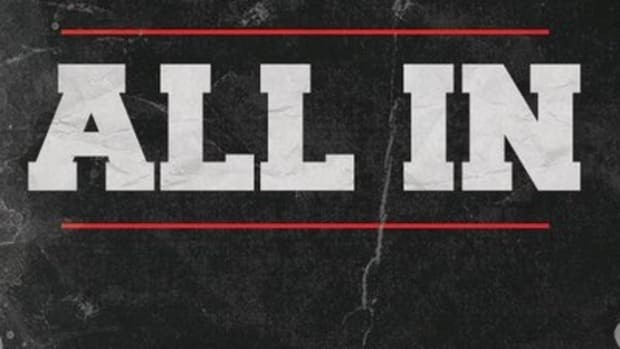 CM Punk wants WWE to "give him the ball" and show a dedicated commitment to his character as a top guy. He feels the best insurance he could possibly have is a downside guarantee identical to other main event level workers. - Embedded in the video below is footage of CM Punk jawing at fans at today&apos;s WWE Raw house show in Adelaide, Australia. In the video, Punk hurls insults at the fans including calling one a "homo." Update: About ten minutes after we ran our story, TMZ picked up on it at this link. - CM Punk posted the following on Twitter:I&apos;m glad TMZ posted that video because everybody needs to be held accountable for their bulls---, me included. What I said was bulls---... I&apos;m embarrassed. I own up to being a total douche in this situation and I offer a sincere apology to anybody I hurt with careless words. This was in response to his outburst against a fan at today&apos;s WWE Raw house show in Adelaide, Australia where he called the fan a homophobic slur. We have video footage of the incident online at this link. - WWE Champion John Cena vs. CM Punk is back on for WWE Money in the Bank following Punk being "reinstated from suspension." The new stipulation added to the match is if Punk wins, Cena is "fired." WWE Money in the Bank 2011 will take place Sunday, July 17, 2011 from the Allstate Arena in Rosemont, Illinois. - I&apos;m told our report last week about Trevor Murdoch being offered a WWE deal to "pop Vince McMahon" caused some people in the office to get very upset. My source claims it even had a direct impact in the company rescinding their initial offer as I was told it was "no coincidence" that John Laurinaitis informed Murdoch they were taking back their offer just hours after we posted our report. There is a lot of paranoia right now by the usual company sycophants (yes-men) after CM Punk&apos;s promo on last week&apos;s WWE Raw. I&apos;m told they are a "little self conscious" right now about it being too obvious they are just doing stuff to please McMahon rather than looking out for the good of the company. Murdoch was one of two names these employees were targeting. The other name that McMahon holds in high regard that they were looking to bring back is Gene Snitsky. Snitsky has not been offered a deal yet but was close to receiving an offer prior to my report about Murdoch. With the company pulling their offer to Murdoch, it is not as likely Snitsky will be brought back because of the aforementioned issues being brought to the forefront. - ESPN radio host Colin Cowherd praised CM Punk for his show-ending promo on last week&apos;s WWE Raw on his radio show today. Cowherd said it was the best rant he ever heard in wrestling. Colin is infamous to wrestling fans because of comments he made after Eddie Guerrero&apos;s death five years ago. - OpposingViews.com is running an article written by GLAAD that is in response to CM Punk&apos;s use of the word "homo" towards a fan at a WWE Raw live event in Adelaide, Australia yesterday (click here to watch footage of Punk&apos;s outburst). According to the article, GLAAD is in negotiations with WWE to "provide trainings" to on-camera talent, "including the wrestlers themselves." They also mention the training they provided to members of the WWE editorial staff and writing team back in May. An unnamed WWE spokesperson told GLAAD that CM Punk is leaving the company and will no longer be a member of their roster as of July 18th. They said, "this departure is not part of a storyline. He is contractually leaving the organization." The WWE spokesperson also assured GLAAD by saying: "We are taking this very seriously." Click here to read the article on OpposingViews.com. Richard Reacts: Remember when CM Punk said "I&apos;m in full, "what are they going to do, fire me?" mode." on Twitter last week? Well, he may have done more than just post a Tweet that preceded one of the best promos in WWE history. While WWE officials were preparing for him to leave, they were still in negotiations with Punk as of this weekend. Following Punk&apos;s outburst yesterday it looks like WWE has ended those negotiations. He undoubtedly has a ton of backstage heat on him as the company is very embarrassed over this latest incident. - Randy Orton wrote on his Twitter account that "over half the roster" had items stole from their luggage on their flight to Cape Town, South Africa. Orton also points the blame to the obvious culprits - airport employees. - Wrestling News World reader Fernando sent word that the profile of Russell Walker has been removed from the roster page of the official Florida Championship Wrestling. This means the New Zealand native has been released from the WWE developmental system. - To update on the WWE roster being robbed, the Smackdown crew was on a domestic flight from Johannesburg to Cape Town yesterday and when they got their to baggage claim it was obvious that several workers had their bags broken into. Workers that had locks on their luggage were targeted as the thieves took watches, GPS systems and other things of financial value. Big Concerts, who is working with WWE to organize the events in South Africa, has tried to contact the Airports Company of South Africa but has not been successful. You can read more by Times Live at this link. - Gail Kim has taken to her Twitter account to criticize the way she is used in WWE. She wrote the following regarding her WWE Superstars match against Beth Phoenix:"Thank u! The response of our match has been unbelievable and it was TRULY a dream come true. Imagine if we were given a storyline or some more time behind it! Sigh...." One of her fans said they wished WWE would bring back Trish Stratus in which Gail responded:"There&apos;s not a lack of talent, it&apos;s the lack of time, storylines and use of talent! "Gail wrote the following to Trish&apos;s official Twitter account:"I would love to go back to what we had back in those years! Those were like iron woman matches back then compared to now lol." A fan, using an expletive, told her instead of complaining to just leave because people could perceive her Tweets as a bad attitude. She responded:"Oh thats not #! @%*#ing lol just the truth smile and I don&apos;t live my life based on what people perceive. Can&apos;t please everyone all the time." She addressed working on WWE Superstars by saying:"Sometimes I don&apos;t realize how long I haven&apos;t been on RAW because I still wrestle on superstars... Which I love because I get to WRESTLE for longer than 3 min and actually have singles matches! Hopefully soon...smile))"
"I step off a plane, my baggage is broken into - you rip off the locks and you steal my clothes. Is this what this country is all about? Then shame on you!" Christian was referring to the incident where the Smackdown superstars luggage got broken into upon entering South Africa. Click here for full coverage... Christian recently turned heel on South African editions of Smackdown (3 weeks behind US). At last night&apos;s Grand West arena show in Cape Town, Christian got a mixed reaction upon entry and reassured everyone that he&apos;s the bad guy. - Apparently CM Punk is just now hearing about Jim Rome and his offer to appear on his radio show to finish the promo he started on WWE Raw two weeks ago. Punk wrote on Twitter today for someone to get him on ESPN and that he is flying home today. - WWE has released Monty Lynch from their developmental system as he has been removed from the roster page on the official Florida Championship Wrestling website. - The venue for next week&apos;s WWE Raw, the TD Bank North Garden, is promoting next week&apos;s show as CM Punk&apos;s final match in Boston, Massachusetts as he is scheduled to face John Cena in a dark street fight match main event. They also question whether it will be Cena&apos;s last match in the city with the stipulation of their Money in the Bank WWE Championship match. Click here to read local event information. - You can read a recap of last night&apos;s Smackdown house show in Cape Town, South Africa at this link. - Metro out of the United Kingdom has a new interview online with WWE United States Champion Dolph Ziggler. Click here to read it. - AucklandStuff.co.nz has an article online on WWE&apos;s visit to the city that you can read by clicking here. - Jim Ross has a new blog online at this link. In it, he gives a "where are they now" update on JBL. He wrote, I indeed still do speak with JBL and did so recently. He&apos;s busy, John will be on Neal Cavuto&apos;s show on Fox Business Channel Thursday night at 6 eastern, and is doing his share of golfing and deep sea fishing in Bermuda. I regret never getting the opportunity to never broadcast with the talkative Texan in my career. Never say never.Thanks to Wrestling News World reader Roberto Yanes for sending this in. - Wrestling News World reader Brandon van Reenen sent in the following: Justin Gabriel was spotted at the world famous Two Oceans Aquarium yesterday morning (7/7). WWE was still in Cape Town for their second show in two straight nights. The aquarium&apos;s official website has an article along with photos at this link... Sheamus and Ezekiel Jackson made the front page on local Capetonian newspaper, The Cape Argus. 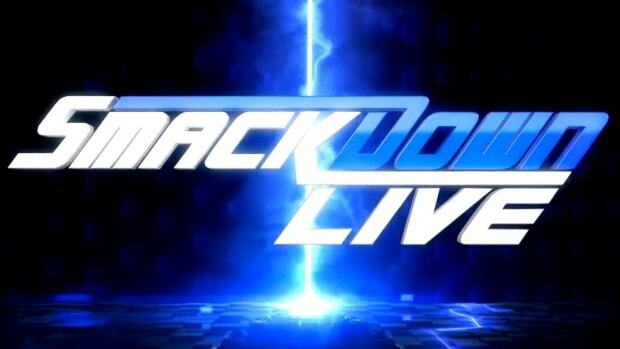 The WWE Smackdown crew spent two days in the city for two shows and continue their tour of South Africa with one show in Durban and two in Johannesburg. - WWE has posted a job opening on their WWE-Careers.com website, looking for a Vice President of Talent Relations. The position was once held by John Laurinaitis as he is the current Executive Vice President of Talent Relations. You can view the job opening at this link. - Ric Flair was advertised for last night&apos;s Impact Wrestling "Basebrawl" house show from MCU Park in Brooklyn, New York and did not appear in front of the live audience. Flair took part in a special VIP ticketholder autograph signing prior to the show but left before the show concluded and never appeared as advertised by Don West and Jeremy Borash. To make matters worse, Flair was one of the promotional focal points for the show. - Jeffrey Scott, a former employee and partner of Border City Wrestling (Scott D&apos;Amore) and Max Pro Wrestling in Windsor, Ontario, Canada, is claiming that Impact Wrestling stole the Crimson gimmick from a local Michigan indy worker known as CK3. Scott wrote on his Facebook page:After sending an info package on himself as Krimson, they debuted a character under a very familiar name. Then after sending them several videos about his character, they steal the promos and character and give it to another wrestler.Tommy Mercer has worked under the gimmick on Impact Wrestling TV since January. - Wrestling News World reader Eric sent word that Hulk Hogan was in Cody, Wyoming yesterday. The Hulkster was spotted a local mechanic shop. The rumor was he was in town for a wedding as Eric Bischoff has a ranch in Cody. - Impact Wrestling has announced a show at the Chenango County Fair in Norwich, New York on August 12, 2011. - Impact Wrestling has announced their No Surrender pay-per-view will take place on Sunday, September 11, 2011 from Universal Studios in Orlando, Florida. - There was a lot of talk about the lackluster work of Dakota Darsow on the 6/23 edition of Impact Wrestling in a match that also involved Shima Xion and Frederico Palacio. Many observers wondered out loud how Darsow, a second-generation worker and former WWE developmental talent, made it to television so quickly. After checking into the story, I&apos;m told that Hulk Hogan and Eric Bischoff recently went to the wrestling school of Brian Knobbs where they evaluated workers for Impact Wrestling. For whatever reason, Hogan and Bischoff were impressed with the work of Darsow as well as Jesse Sorrenson (who will appear on tomorrow night&apos;s show). Darsow was offered a per-shot opportunity to work a match to be taped for TV. A few people joked how "out of touch" Hogan and Bischoff must be if Dakota Darsow is their idea of a top prospect. Darsow had a reputation for not being that good but following his debacle on national TV, it left Hogan and Bischoff with egg on their face. I wasn&apos;t told one way or another about Sorrenson&apos;s match so we will have to evaluate when it airs tomorrow night on Impact Wrestling. - Matt Hardy has been very sick as he wrote on Twitter he weighed in at 204 pounds last night and has not eaten in four days. He said that he cannot remember being this sick in his entire life. Hardy is usually billed at just over 230 pounds. - Impact Wrestling has announced they will tape television outside of Orlando, Florida on Thursday, August 25, 2011 from the Von Braun Center in Huntsville, Alabama. Tickets will go on sale on July 15, 2011 at 10 AM. - Taz will not work Impact Wrestling&apos;sDestination X pay-per-view from Universal Studios in Orlando, Florida due to a "family obligation." Jeremy Borash will be assisting Mike Tenay at the announce table. Taz is scheduled to work next week&apos;s TV tapings. Why has WWE decided not to do their post-Wrestlemania "spring cleaning" releases this year? Isn&apos;t this a yearly tradition in the company? WWE did not have a massive amount of well-known roster cuts like usual this year but they still did their "spring cleaning." The company cut several developmental talents and workers not well-known to the WWE audience. Even recently these cuts have continued with workers such as Jacob Novak and Michael Tarver. WWE is always looking to keep the "fat trimmed" on their roster but due to a lot of factors they didn&apos;t have a highly publicized "spring cleaning" which is never good for company morale. Why isn&apos;t WWE pushing Drew McIntyre anymore? I talked about this in a recent edition of the WNW Premium Mailbag and we often get questions on Drew McIntyre and his push. Basically McIntyre is like anyone else in that he had an opportunity but didn&apos;t come out of it as a top worker. Many questioned the initial push of McIntyre but he was never completely elevated. This isn&apos;t to say he will never work as a top talent; however, he does not currently have the attention of WWE creative. The most popular questions we get are readers wanting to know about the spots of certain workers but WWE can only push a handful of workers in the top of the card and if a worker is not in that handful they are reduced to a minimal role on television. Is WWE planning something big for Evan Bourne? In my opinion Evan Bourne is one of the best superstars in WWE, but he&apos;s not used enough. Like Drew McIntyre, Evan Bourne is a worker that main readers want to see main eventing in WWE. Bourne&apos;s fast-paced style topped with the shooting star press has gained him a very loyal following in WWE. He was originally slated for a big push at Wrestlemania this year shortly after his return from injury but he ended up not even landing a spot on the card. WWE officials still like the reactions Bourne is drawing but right now he is a mid-card talent on the Raw roster. However, Bourne holds a better chance of getting elevated than a lot of workers. Do WWE superstars get heat if they do not remain in character on social networking websites such as Twitter? A couple of years ago WWE officials were oblivious to the Twitter accounts of their talent so you saw a lot of "Tweets" posted were out of character, revealing the personal lives of the workers. Once Twitter started to get big, WWE issued an edict to talent where workers were told not to Tweet late at night when they could be intoxicated and to remember everything they do on Twitter is a representation of their character. Due to WWE "policing" the social networking platform, the number of legitimate Tweets has been cut down and we see a lot of workers (such as John Cena) constantly posting in-character. However, some workers like Randy Orton, pretty much do what they want. Does Kofi Kingston have what it takes to be a main event talent? Kofi Kingston is a solid worker with charisma and a strong following. I said he needed to drop the Jamaican gimmick to get to the next level and while he dropped the gimmick, he&apos;s been stuck as a mid-card to upper mid-card worker. Backstage politics have played a role in Kofi&apos;s spot but WWE officials are high up on his work. However, to answer your question, I feel he has what it takes but it&apos;s going to come down to the right time and right opportunity. WWE must have a lot of confidence by putting Alex Riley over The Miz twice. What are your thoughts? WWE officials are high up on the babyface reactions of Alex Riley and are confident in him. Riley has also been going over The Miz on recent overseas house shows. He is getting a great opportunity and the company is hoping he will establish himself as an upper tier babyface in the company. Does it disturb anyone else that Crimson and Gunner are leading the Bound For Glory Series while Samoa Joe, Robert Roode and "The Pope" D&apos;Angelo Dinero have no points? Do we really see Crimson and Gunner as top contenders for the World Title? I have questioned what Impact Wrestling officials see in Crimson and Gunner above the workers you mentioned. I wish I could give you an answer but I honestly do not know why they push who they do. The company needs to build up talent other than veterans like Sting and Hulk Hogan but why Crimson and Gunner and not Samoa Joe and Robert Roode? I agree it does not make sense and no one I talk too in the company understands it either. What are your thoughts on this CM Punk situation? I cannot see John Cena losing at Money in the Bank due to the "fired" stipulation and it seems WWE is moving into a great program between Vince McMahon and Punk, similar to what McMahon did with Steve Austin back in the Attitude Era. Would you agree? As things currently stand it appears that CM Punk will be leaving WWE after Money in the Bank on July 17th as a WWE spokesperson stated this at this link. I have not heard the creative plan for Money in the Bank but if Punk is not going to re-sign (which looks like is the case) I have a hard time believing they will do anything other than feed him to John Cena. The CM Punk stuff is very entertaining and his promo on WWE Raw a couple weeks ago was excellent but the incident earlier in the week may have affected his negotiations for a new contract. We are working on obtaining full details. What will be CM Punk&apos;s next move? Do you think he goes to Impact Wrestling? Do you think Punk knew what he was doing when he called that fan a "homo"? No one I speak with seems to believe that CM Punk has Impact Wrestling on his mind. I think he would work in Ring of Honor before going there; however, it&apos;s always important for me to not that anything as possible. As for if Punk "knew what he was doing" at the house show on Monday, that is impossible for me to give a fair answer but I can give you my opinion. I believe Punk got carried away and obviously did not know he was being filmed. The incident got him a lot of backstage heat and as I mentioned in the question above, we are trying to figure out if the heat did indeed put an end to contract negotiations. I just watched "The Rise and Fall of WCW" on DVD. What were some of the big contract prices and who were the big winners? First of all I would recommend the Monday Night War DVD and "The Very Best of WCW Monday Nitro" over "The Rise and Fall of WCW" set as the latter featured a lot of canned footage from the Monday Night War DVD. As for the big contracts and big winners, workers such as Kevin Nash, had large guaranteed contracts with creative control. These large contracts "justified" lengthy main event pushes for everyone that had one while at the same time leaving workers that had small downsides left in the mid-card or in permanent enhancement roles. I do not have numbers and details on the contracts but you can look who was pushed in WCW throughout the years and you can see who had these loaded contracts. Who do you feel are the two favorites to win the Money in the Bank ladder matches later this month? I would like to see Sin Cara get a push for the World Heavyweight Championship. The obvious number one contender for the WWE Championship is Alberto Del Rio given what happened on WWE Raw with Sheamus being in line for a shot at the World Heavyweight Championship. I do not think Sin Cara is ready to get elevated to the main event as he is still in the "adjustment" period of his WWE career. I also want to be clear I am not giving you creative plans but rather my opinion. I have not heard the direction WWE plans on going but I am using information from current storylines. A case can be made for more workers in the Raw Money in the Bank ladder match rather than its Smackdown counterpart. With CM Punk getting the WWE Championship at WWE Money in the Bank what happens with the number one contendership that Alberto Del Rio won on Monday&apos;s WWE Raw? A lot of readers have asked this question and I think it presents a perfect opportunity for a swerve. As I stated in yesterday&apos;s Ask WNW, Alberto Del Rio is my favorite to win the Raw Money in the Bank ladder match and with CM Punk likely departing WWE, there is certainly an opportunity for that to happen. Why have so many talents in WWE such as Chris Jericho, MVP, Chavo Guerrero and now CM Punk chose not to re-sign with WWE? You can add Dave Batista to that list as well and add it in with retiring names such as Shawn Michaels and Edge. WWE is in a transition period and have been for the last couple of years. Workers are aging and they have to come up with new talent to replace outgoing talent. Each worker you mentioned has their own set of circumstances. Chris Jericho wanted time off to promote his book, appear on "Dancing with the Stars," and tour with his band. MVP wanted out because he was unhappy with how he was being used and wanted the opportunity to go to Japan. Chavo Guerrero was frustrated with his spot in the company and had saved up enough money where he wanted to get off the road. Now CM Punk doesn&apos;t like the fact that WWE will not guarantee him a spot like that of John Cena and Randy Orton. The cycle of talent coming in, getting built up and being a main eventer only to end up leaving is the same as it has been for years and that&apos;s why it is important for new names to be established to replace these veteran workers. Talent that WWE is hoping will step up and fill the gap include Alberto Del Rio, Sin Cara, The Miz, Alex Riley, R-Truth and Sheamus. Why are CM Punk and John Cena using the build up for their match at WWE Money in the Bank to bury Dwayne "The Rock" Johnson? I feel it cheapens their feud the same way it cheapened The Miz vs. Cena at Wrestlemania this year. The Rock&apos;s name is being brought up to keep the anticipation to next year&apos;s Wrestlemania main event on the minds of the WWE audience. I do feel that Cena vs. The Rock cheapened Cena vs. The Miz at Wrestlemania but I don&apos;t mind it being brought up in this current program which is headling a B-level pay-per-view. The Rock is not an active performer in WWE so the only way to keep the angle hot is to subtly mention it from time-to-time. There are a lot of workers that are critical of The Rock because he is in the Wrestlemania main event yet is not a full-time talent. However, the fact of the matter is that he draws and the WWE office doesn&apos;t care because they feel the reason this year&apos;s Wrestlemania got back to one million buys is because of The Rock. You have mentioned several times that WWE talent do not make much money and have to pay for their own travel while others do very well. Do they negotiate for percentages of merchandise sales? Do any have agents and what does Vince McMahon think of them having agents? A WWE performer&apos;s contract defines how much a worker will make in a downside guarantee and show bonuses. I am not completely sure how the revenue sharing works so I do not want to start throwing out numbers that could possibly be in error. The contracts are structured so there is an amount they will make no matter what sprinkled with bonuses that can make a main event worker very wealthy. As for workers having agents, the big names have people that represent them. These agents are paid a percentage by the worker they represent. I don&apos;t know what Vince McMahon thinks about agents but I personally feel a worker is crazy if they do not have some type of legal representation when they negotiate one of these contracts. Between changing his name from Robert back to Bobby, him selling the shoulder injury and announcers playing up that he has yet to score points in the Bound For Glory series, do you think Roode is in line to either bounce back and win the series, or at least become a title contender soon after? I noticed last night on Impact Wrestling the company is billing him as Bobby Roode again and I completely disagreed with Crimson going over him on last night&apos;s show. I understand they are selling the shoulder injury but Roode is a better worker than Crimson and if they are going to push someone different Roode should be in line for the push. I do not know the future creative plans for him but I think the company is missing the boat on him. I just started watching Ring of Honor and I enjoy the product a lot. Do you see ROH becoming competition to WWE in the next few years or do you think ROH will become a successful alternative? I don&apos;t think there is enough money behind Ring of Honor (even under Sinclair Broadcasting) to compete with WWE. The new deal should keep them in business and give Internet fans an alternative to mainstream programming. However, they have a long ways to go before they compete with Impact Wrestling much less the power of WWE. ROH is a very different product, targeted to a different audience. They have had success by carving out their appropriate niche. It is confusing to a lot of people because we cover Impact Wrestling and Ring of Honor along with WWE, but the reality is WWE is much bigger of an organization. With the career of Sting coming to an end would if you be surprised if WWE tried one more time to sign him and promote the dream match of Sting vs. The Undertaker? WWE tried hard to make Sting vs. The Undertaker happen at Wrestlemania XXVII this year, especially given the interest in the cryptic vignette drew for Sting in WWE. However, a deal wasn&apos;t done and Sting ended up re-signing with Impact Wrestling. Anything is possible but I almost felt like that was WWE&apos;s final attempt to land Sting. Barring a deal being made for next year&apos;s show, it&apos;s more likely we will never see Sting vs. The Undertaker. Why hasn&apos;t Matt Hardy not been on Impact Wrestling in recent weeks? The rumor going around is that Matt Hardy has had backstage heat for tardiness to Impact Wrestling shows so he has been suspended. Hardy has been very sick lately and has lost 30 pounds.